You're like a plastic surgeon. You're covering all evidence of the damage. And I charge almost as much by the hour, too! 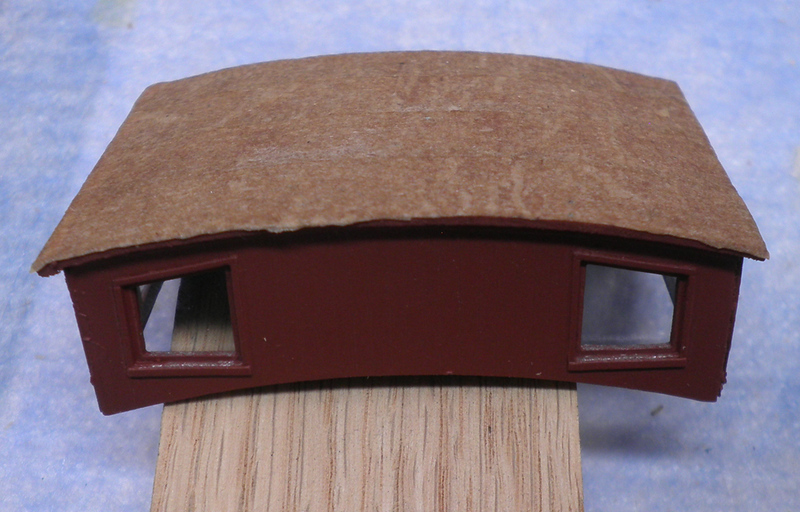 Those curved end rails are a nice touch. One of the nice things about doing these restoration/completion projects is that there are no instructions available to inhibit or limit the imagination and possibilities. More fun for me! It is coming along nicely, Martin. 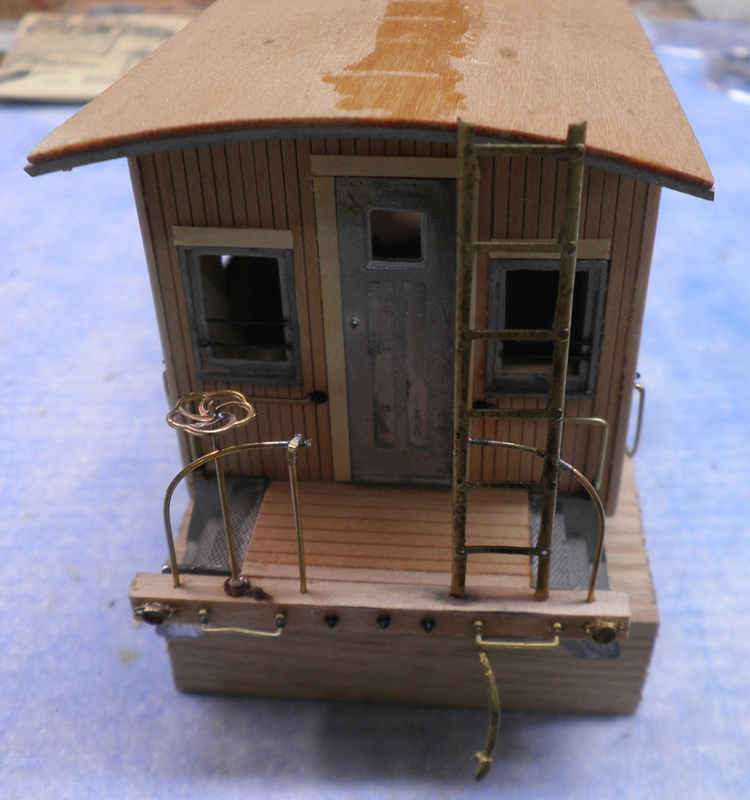 Will the entire caboose be the color of the cupola, or will it also be painted over? 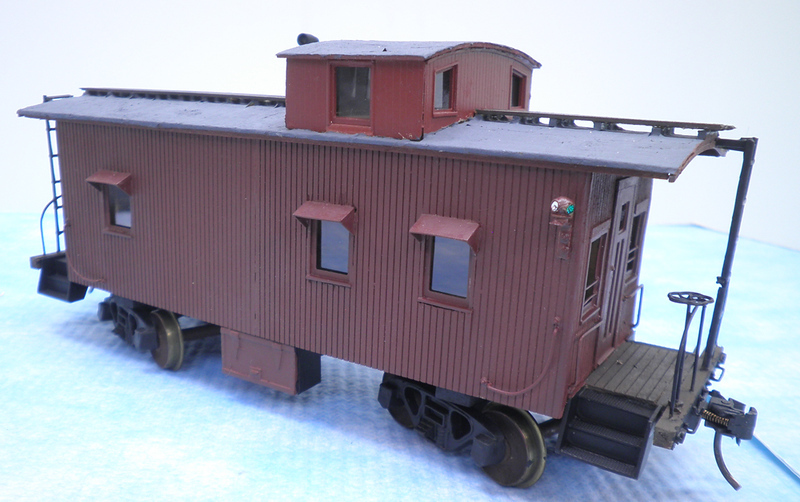 Yes, staying with boring D&H Caboose Red but some other bits will be other colors hare and there. 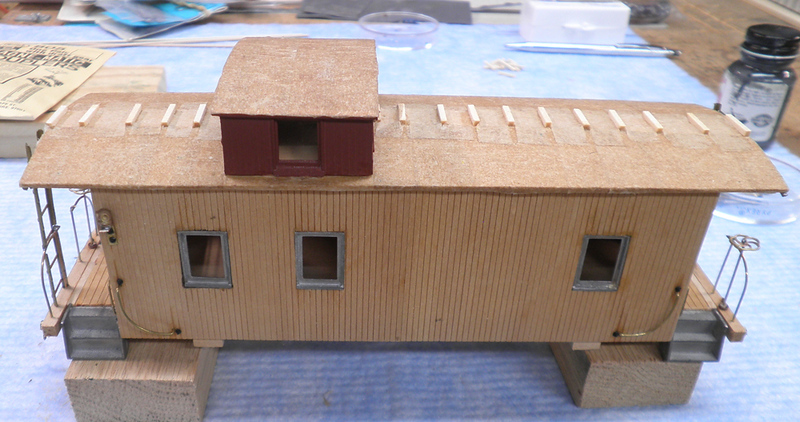 Roof fits and cupola is attached after glazing was installed. I am sure there are some D&H modelers that resemble that remark. ;) Nothing wrong with good old caboose red. 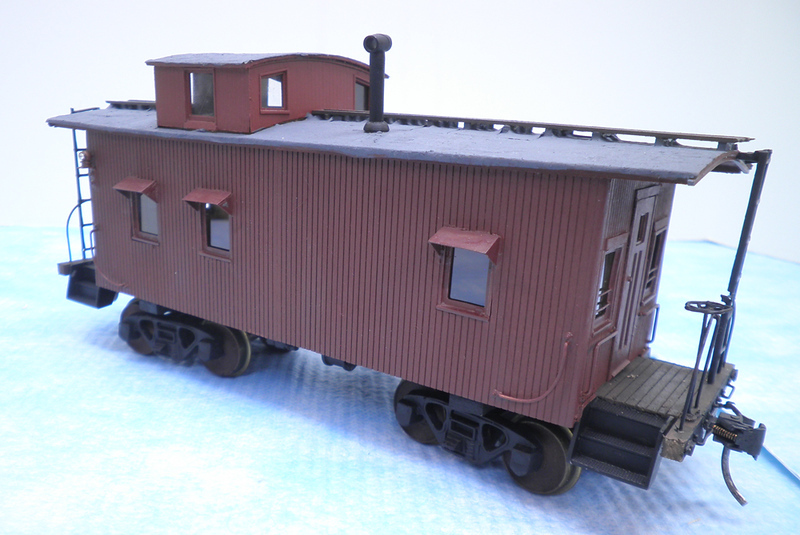 I use the D&H Caboose Red quite a lot, but rarely do I use Caboose Red. The latter is quite a lot brighter. 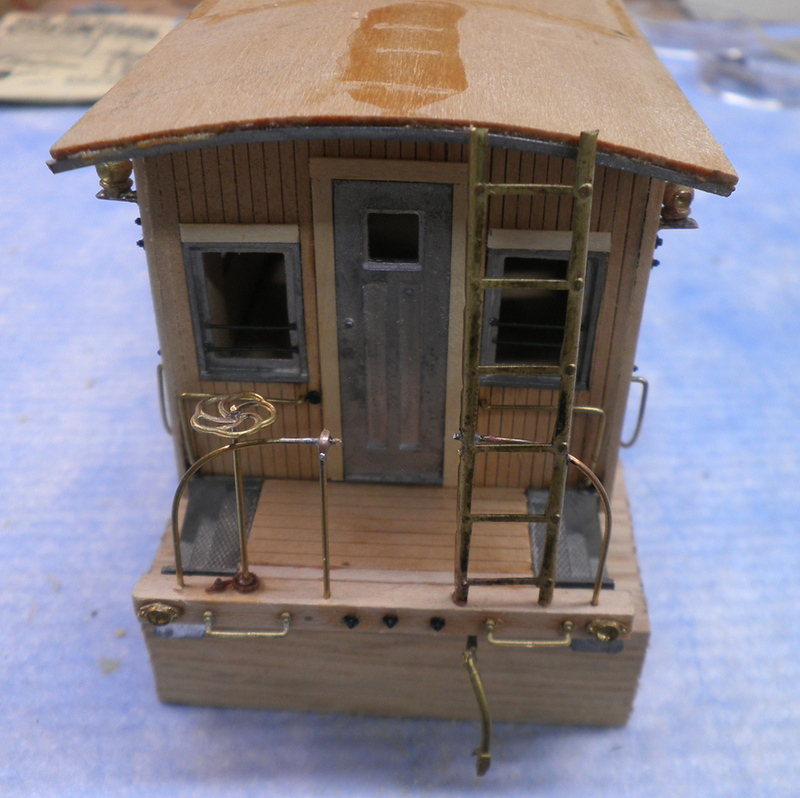 Maybe that's what goes on the next caboose I rebuild. 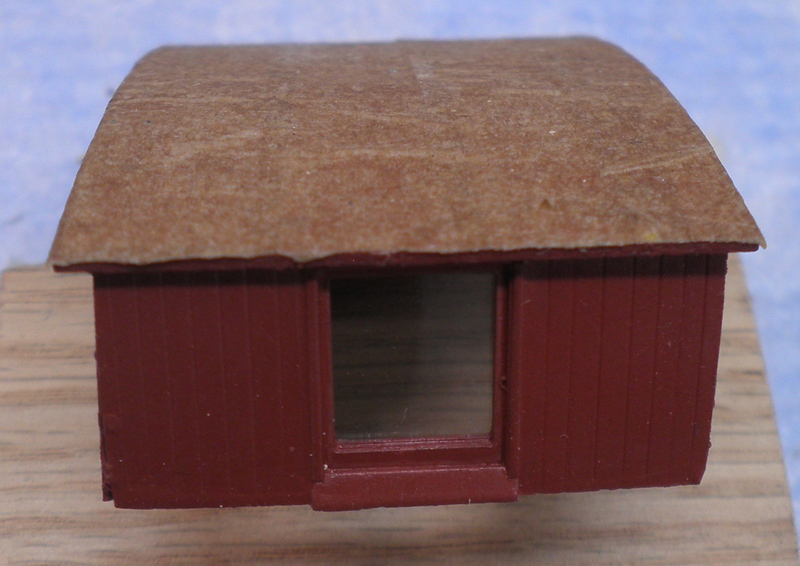 I've got 5-7 of them in the caboose box.... .....and I need to ration my dwindling supply of the D&H Caboose Red. 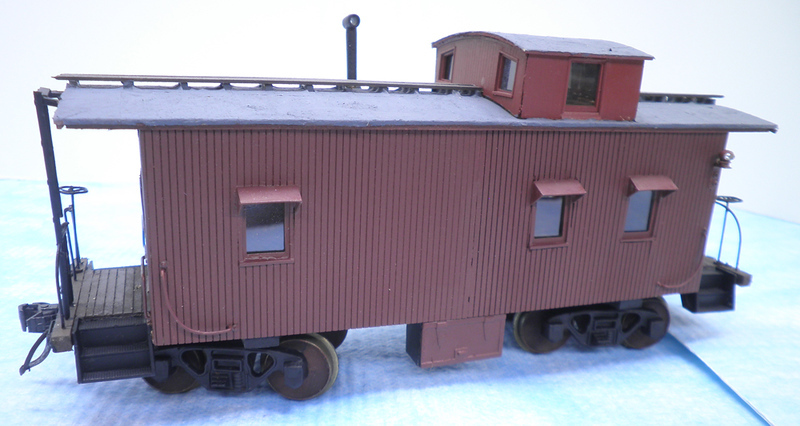 Put a coat of paint on the body shell to get a better look at it all and also to glaze the windows before going forward. Want to wrap this up now to reclaim the work space so it'll be fast-forward time soon. For a moment there I thought I was seeing double. Looking good all around. 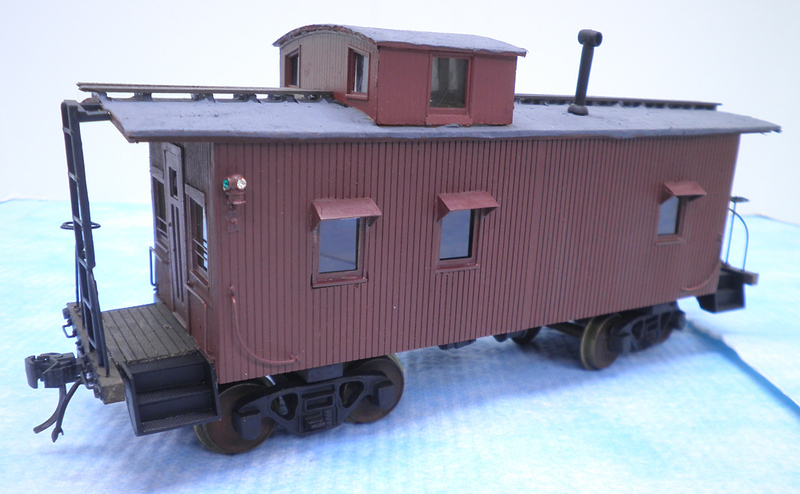 Your caboose puts me in the mood to build a kit or two. Maybe next. Next up: 2 gons. I know I posted the starting point for at least one of the two a very long time ago back when Photobucket hosted my photos and was a viable service. But that was then....and here's the 1st of the 2. 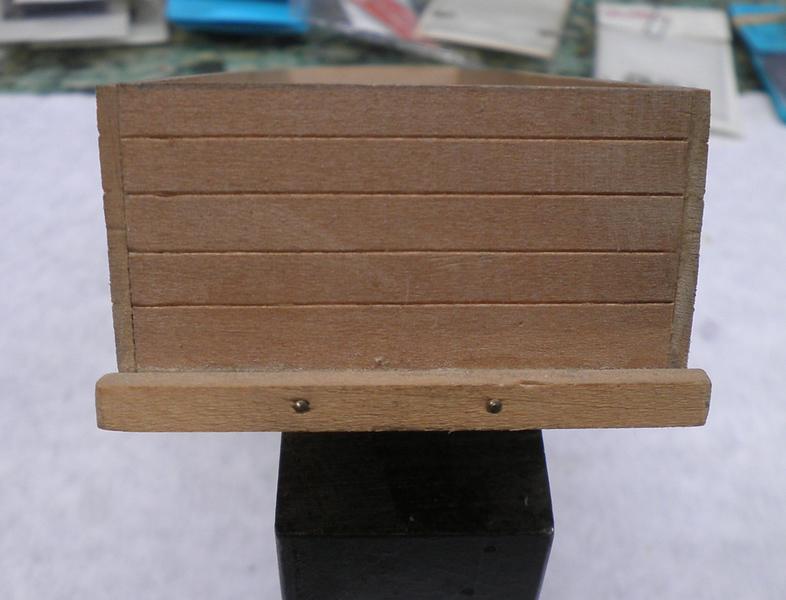 A bit rough and naked, but solidly built from some kit, I guess.... Well, it's on the bench and we'll see where it ends up.